While we waiting for an event to start, we had time to waste and we decided to find a new place for us to eat. 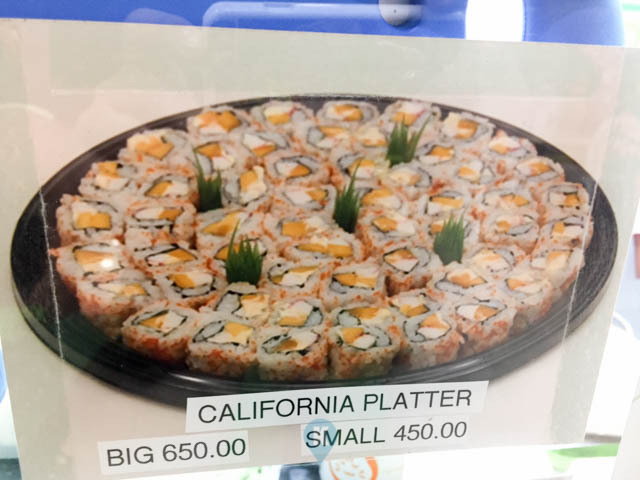 We were in fisher mall so we decided to go to the food court. Usually these areas have the same food stalls and luckily we can find at least 10% new in them. 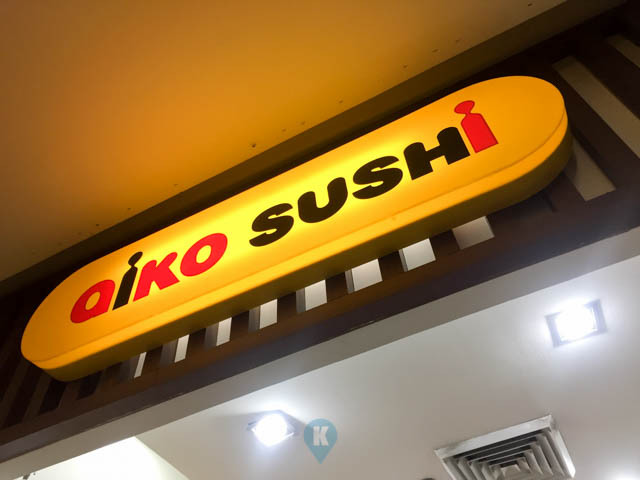 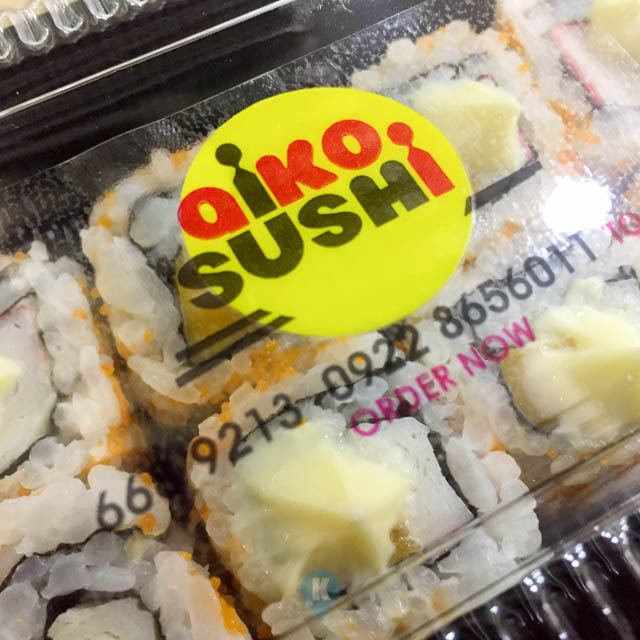 This time we found Aiko Sushi. We didn't expect to eat japanese but this one beckoned me, telling me eat me. 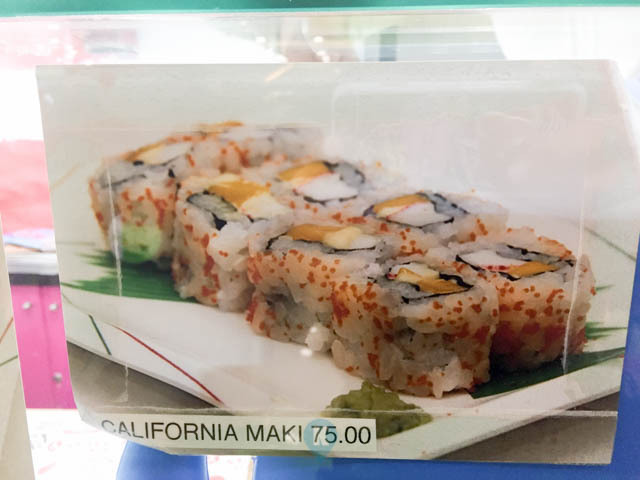 Actually it was the price that made us decide to try it out. 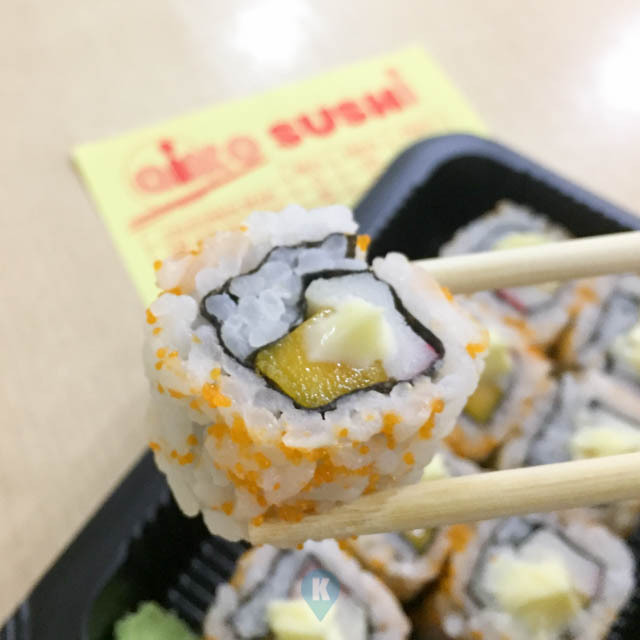 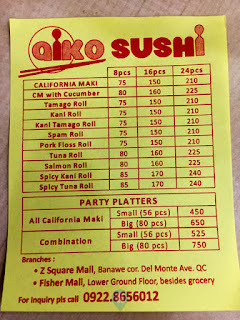 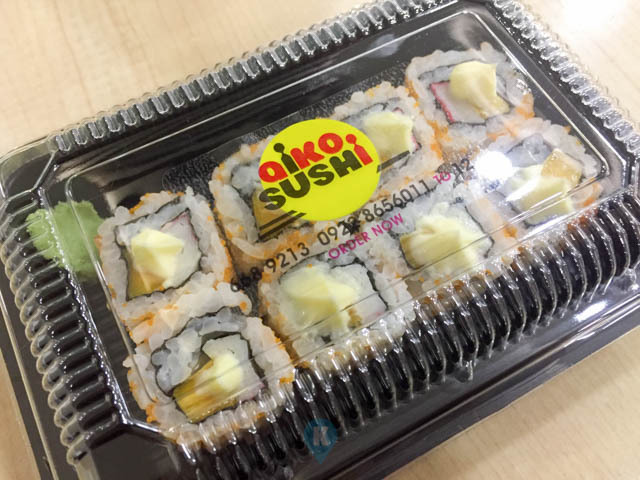 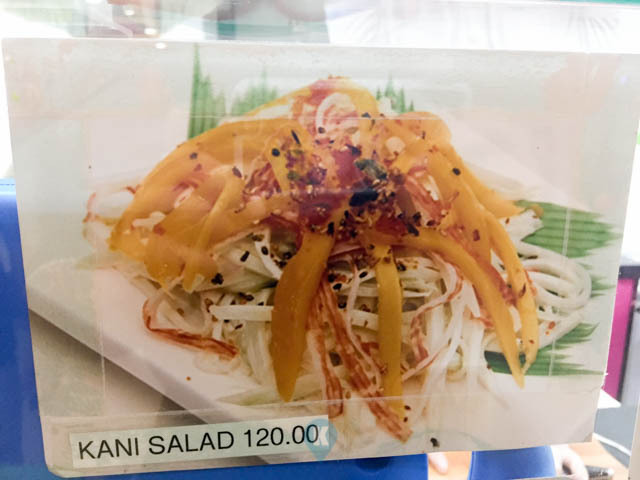 Imagine a california maki for Php75 and yes its 8 pieces. This will totally make your day. 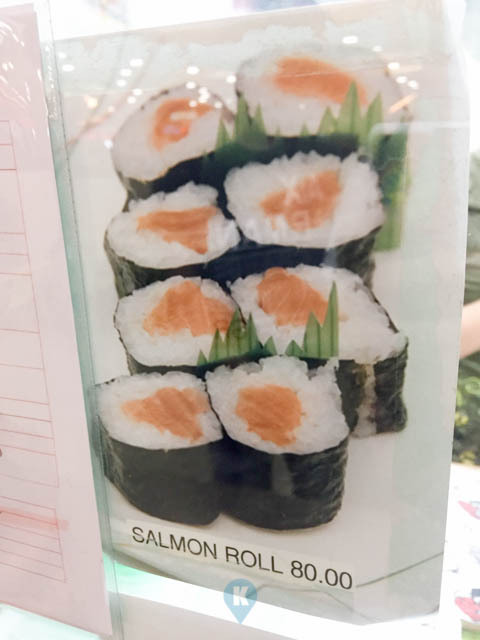 So we tried this out and surprisingly it tasted great. 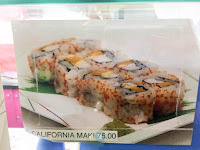 The california maki tasted almost the same with that of the expensive restaurants. Minus of course the cucumber for which for an additional Php5, you can have the cucumber in your california maki. 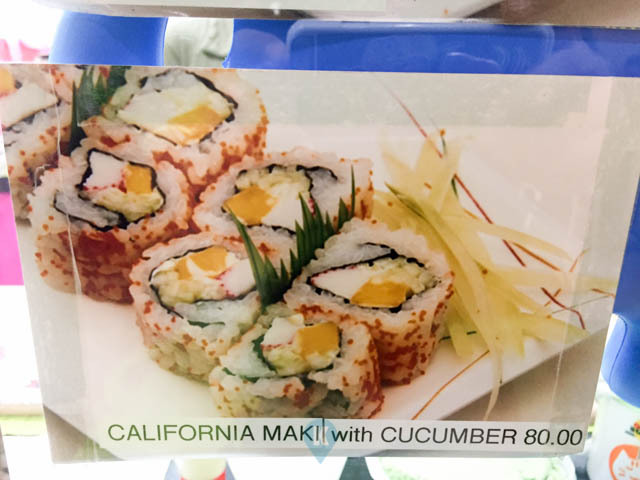 The rice was fluffy, the japanese mayo pushed the dish to greatness. The wasabi is your typical cheap one but I won't complain. 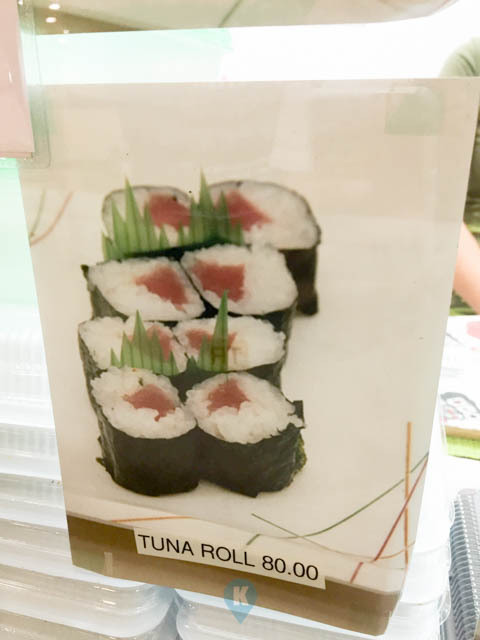 End point, the food was great. 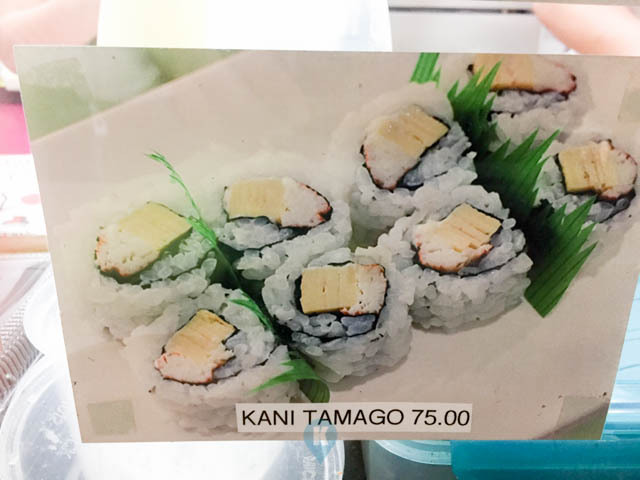 Following the same taste, we assume the other food items would likewise taste great. 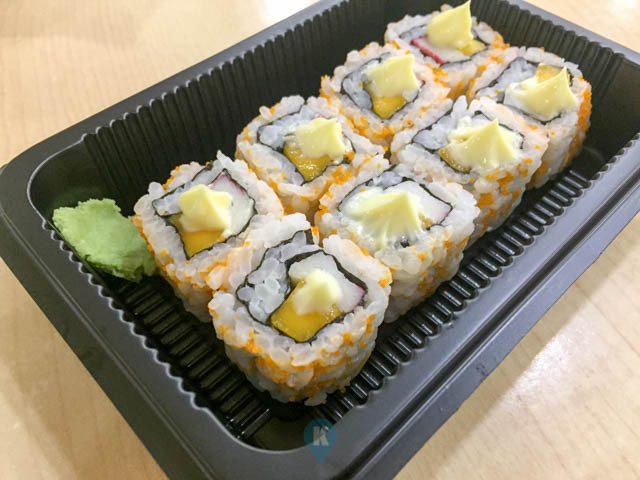 We can't wait to go back to fisher mall and will partake with their other dishes. 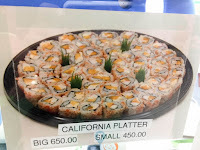 For more information visit them at their facebook page here. 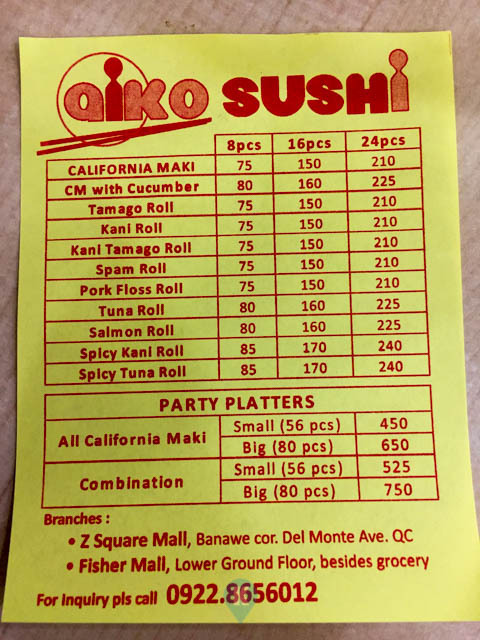 For orders call them 0922-8656012, their menu likewise is shown herein.